Karen grew up in Perth, on the West coast of Australia. After studying for a degree in science at the University of Western Australia, Karen enjoyed a successful teaching career for over 20 years. Although she loved to do Science experiments with her students and share her passion for the subject, she always knew deep down that she was destined for another path in helping people who are a little further into their life journey. An early interest in feng shui compelled her to observe her surroundings more closely, especially after some small home furniture adjustments materialised into a yachting adventure and a couple of other unexpected gifts. That, and enjoying organising everything from carpet squares at a hardware store to electronic files in her Science teaching department helped to polish her skills in readiness for her upcoming life change. After a diving trip where she met her future husband and becoming a mother, the realisation dawned on her that her career journey was transitioning into something else. Synchronous events lead her to study professional organising and then she became a practitioner of Essential Feng Shui® through the Western School of Feng Shui™. Here the already sprouted feng shui seed took form and exploded in growth. 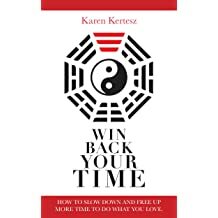 In order to bring the ancient practice of feng shui to a wider audience, Karen has written her first book "Win Back Your Time." It is written for busy women and is a fusion between training the mind's perspective on time with complementary easy-to-follow feng shui adjustments. Its aim is to help women start to create and free up more time to do what they love and gives them a practical taste of feng shui without having to wade through a mountain of information on the topic. Bringing professional feng shui into homes and businesses in her own caring and intuitive way and educating more people about the potential gold mine of energy that exists in their surroundings is Karen's purpose in life. With her presentation skills drawn from teaching, she now enjoys speaking to groups about all things feng shui as well as visiting the homes and workplaces of her clients and growing and developing her practice to provide enormous value to others. 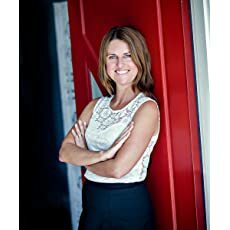 Karen's next book will be about the application of feng shui for educators in helping them to regain their energy that often becomes depleted as they work tirelessly through the school term. 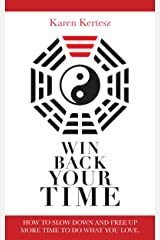 For more about Karen and her feng shui services, visit www.emeraldspace.com.au.